Actually Allium for fun only, but that doesn’t make a catchy title. As the link above describes, the Allium genus includes garlic, onions, leeks, shallots and a few other underground edibles. One of my many garden revelations is season involved growing garlic. 2. Garlic is self-perpetuating, meaning you only need to get some planting stock once; you save a few of the biggest heads to plant for the next season and eat the rest. 3. It does a lot of its growing in the dead of winter and early spring when everything else in the garden is dead and gone. Granted it is underground and I can’t actually see it grow over the winter, but I know it does. None of this is a secret, any garden book will tell you the same thing. But like so many other things, I had to see it for myself to have it register. Peaceful Valley Farm and Garden (http://www.groworganic.com/default.html) had basic garlic for cheap as well as shallots, so they got an order from me earlier this month. The order came in yesterday and the aroma of the box filled my office all day long. I ordered a basic silverskin softneck to jump start my garlic stock- it was less than $5.00/lb vs at least twice that through most suppliers. Additionally, French red Shallots were under $5.00; these were harder to find and much more expensive elsewhere if they could be found. 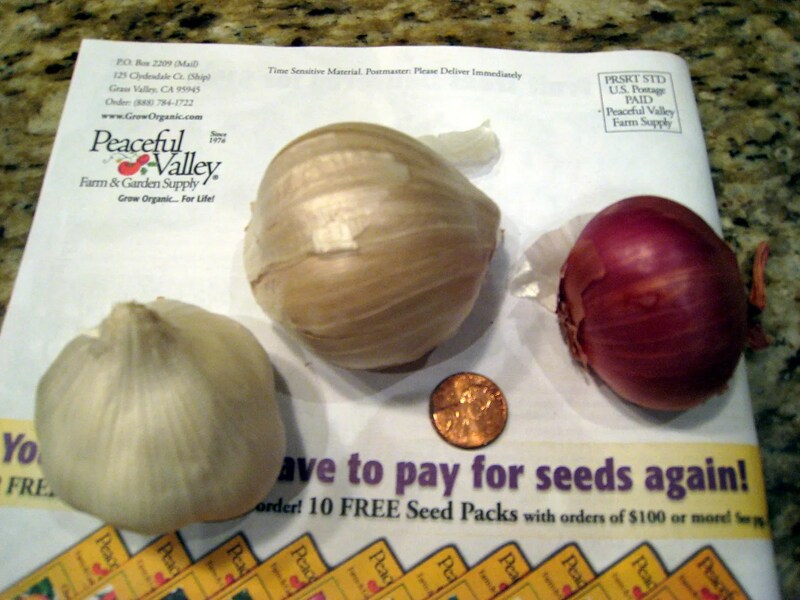 I liked the idea of shallots for the same reason the garlic registered with me; unlike traditional onion sets, a shallot in the ground in the fall yields several the next summer. Another plus was the mild flavor and decent storage life. Finally I decided to try some Elephant Garlic – an oddity that isn’t really a garlic but a member of the leek branch of allium. Wow. Big. Wow. 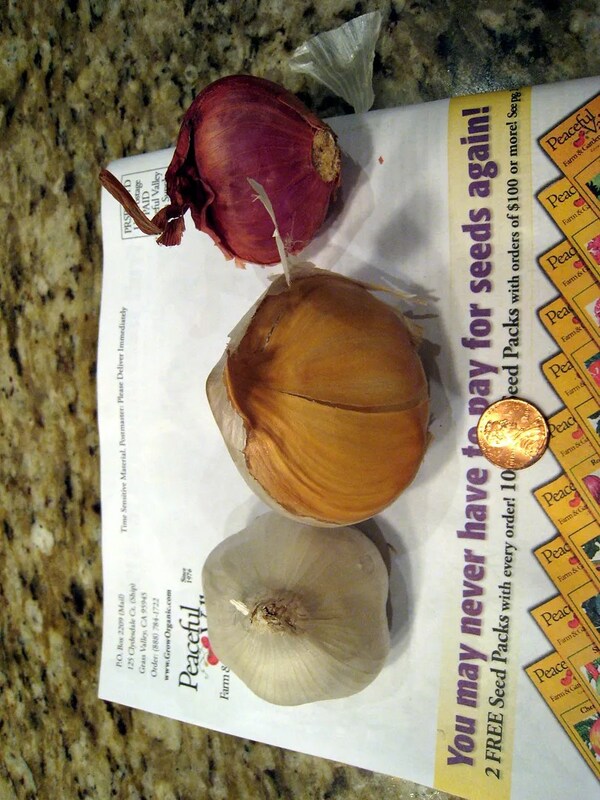 Left to right: a traditional bulb of silverskin seed garlic, a clove of elephant garlic and a shallot. will you be able to grow medicinal garlic as a cash crop?